Many people deal with chronic pain and discomfort in their everyday lives. A large part of discomfort originates in their digestive system which makes it hard to function. A common digestive issue is irritable bowel syndrome. Our team at The Gut Authority makes it our mission to use natural medicine to support clients with irritable bowel symptoms. What is Irritable Bowel Syndrome (IBS)? The first step in helping the body deal with digestive problems is to fully understanding what they are. Irritable Bowel Syndrome is a digestive disorder that disrupts the large intestine. Your large intestine has muscles that contract to help digest your food. If they aren’t contracting properly, it can lead to severe discomfort. There are many factors that contribute to this uncomfortable and sometimes damaging disorder. One of the most common causes is intestinal inflammation. Other things that may cause IBS include abnormal markers in the nervous system, bacteria, viruses, and changes to gut bacteria. These are not pleasant things to experience regardless of how often or severe they are. The good news is that natural medicine will help relieve these symptoms and help your body recover from the damage. If you’ve ever struggled with these symptoms and been told to eat better and reduce stress, that’s great advice. However, easing your symptoms is much more than just “eating better.” One of the main causes of IBS is a specific ingredient called gluten. Many tasty and so called “healthy” foods contain amounts of gluten. Dr. Peter Osborne of the Gluten-Free Society, states that gluten is highly inflammatory and can trigger IBS. By using certain foods to help the body recover from the damage, you’ll restore balance to the body and lessen the effects of this disorder. Choose these top foods and make sure they’re free of pesticides and hormone disruptors. Gluten is a prime trigger for inflammation because it’s not only hard for the body to digest, but also because so many people are gluten sensitive . In addition, most grain containing foods contain an abundance of chemical toxins from the pesticides used in growing and harvesting the grains. Physical activity is important for your body to maintain healthy functions. Exercise combined with nutritious foods will support your body and your mind. A natural medicine doctor will help you make a plan that fits your current health needs. Your gut has a certain balance of good and bad bacteria. If your gut maintains a healthy balance, then you’ll experience very few digestive problems. When the balance is off, that’s when problems occur. The goal is to balance your gut bacteria which is hard to do without proper nutrients. 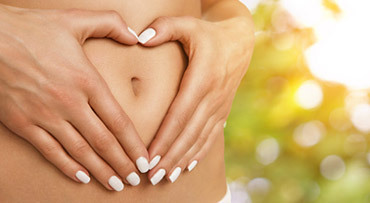 Taking a daily probiotic will increase the healthy gut bacteria and support your bowel function. This will also ensure less IBS symptoms. Your functional medicine doctor can help you choose the right probiotic. If you need help treating your irritable bowel symptoms, contact the team at The Gut Authority. We want to use our natural medicine approach to gently treat your body and restore balance so you can live life again. Together we’ll create a plan that’s right for you. “Duis aute irure dolor in reprehenderit in voluptate velit esse cillum dolore eu fugiat nulla pariatur. Excepteur sint occaecat cupidatat non proident, sunt in culpa qui officia deserunt mollit anim id est laborum."